Thanks to a combination of river restoration efforts and federal regulations, one of America’s most iconic birds has recovered from endanagered status to being quite common. 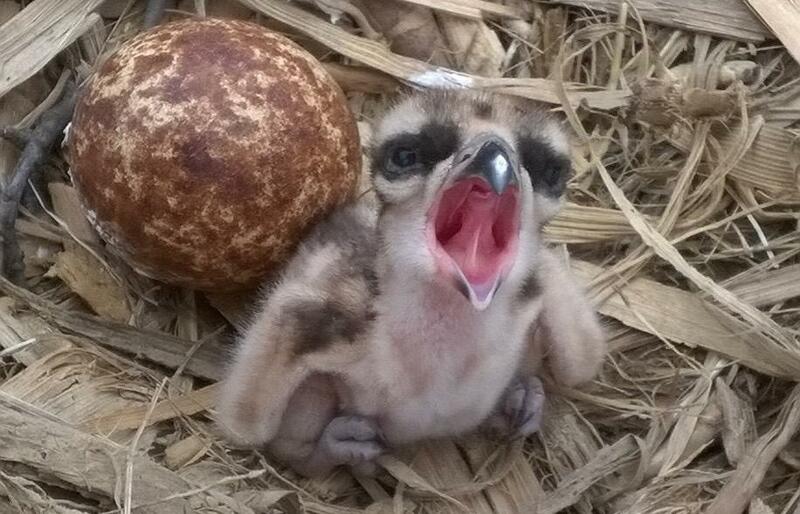 Lower levels of environmental contaminants—including pesticides, flame retardants and other pollutants—were recently found in osprey eggs in the Delaware Estuary compared to those tested from the 1970s through the early 2000s. 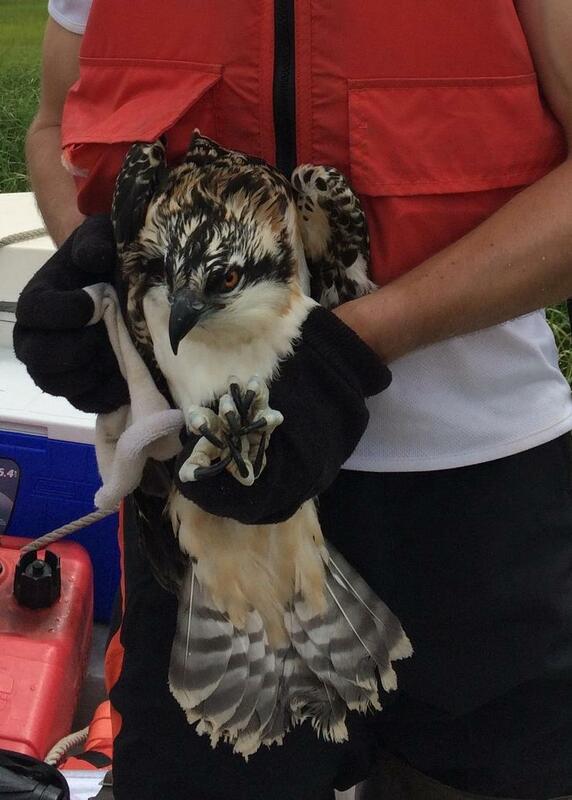 USGS scientists looked at conditions in 2015 and concluded that contaminant levels do not seem to pose a substantial risk to individual ospreys or their population numbers in the Delaware Estuary. Pollution in the estuary has been documented for more than two centuries, and this contamination caused population declines in ospreys and other fish-eating birds in the second half of the 20th century. The area is challenged by human population growth, agriculture, industry and shipping. The contribution of organic contaminants and trace metals to poor water quality became especially apparent during the second half of the 20th century. As a result, the populations of several species of predatory birds declined, including the peregrine falcon, bald eagle, great blue heron and osprey. The USGS study found no evidence of widespread osprey eggshell thinning, which was observed in earlier years. 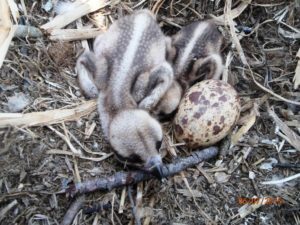 Contamination at current levels was also not found to impair egg hatching, the loss of eggs or young birds from nests or a young bird’s ability to fly away from the nest. Osprey reproduction even improved along the Delaware River from the C&D Canal to Bensalem, Pennsylvania, which in addition to being more industrialized and polluted than other areas in the estuary, also has a larger human population. USGS scientists also looked at the osprey food web and found generally lower levels of contaminant concentrations in fish that are commonly prey for these birds in the Delaware Bay and coastal Inland Bays. The Delaware Estuary contains notable fauna and flora and fosters an extensive fishery and game bird population for hunting and other recreational activities. Numerous species of birds depend on this estuary as it is part of the Atlantic flyway, and it is a critical staging site for a large population of migrating shorebirds. The estuary includes parts of Pennsylvania, New Jersey, Delaware and Maryland. Several contaminants were analyzed in this study. Scientists looked at flame retardants, such as polybrominated diphenyl ethers. They also studied legacy contaminants, which are older and historically used pesticides and industrial chemicals that were banned in the 1970s. Those include organochlorine pesticides, such as p,p’-DDE (a metabolite of DDT), chlordane and dieldrin, as well as industrial chemicals like polychlorinated biphenyls. The research is published by the U.S. Geological Survey in the journal, Science of the Total Environment. All photos courtesy of Rebecca S. Lazarus, USGS. See full research paper (paywall).